Crypto exchange Coinbase Pro is adding privacy coin zcash to its listings. The platform announced Thursday that customers can transfer zcash into its professional trading platform, though as with previous additions, users can not yet purchase the token until the exchange has established enough liquidity. Deposits will be accepted for at least 12 hours after the announcement at 18:00 UTC. When trading is enabled, only Coinbase Pro users in most of the U.S., UK, European Union, Canada, Singapore and Australia will be able to access the coin. New York residents and other jurisdictions may receive access at a later date. The exchange did not announce when coinbase.com or mobile app users would be able to begin trading the cryptocurrency. Due to the nature of the privacy coin, full support is not yet being added. 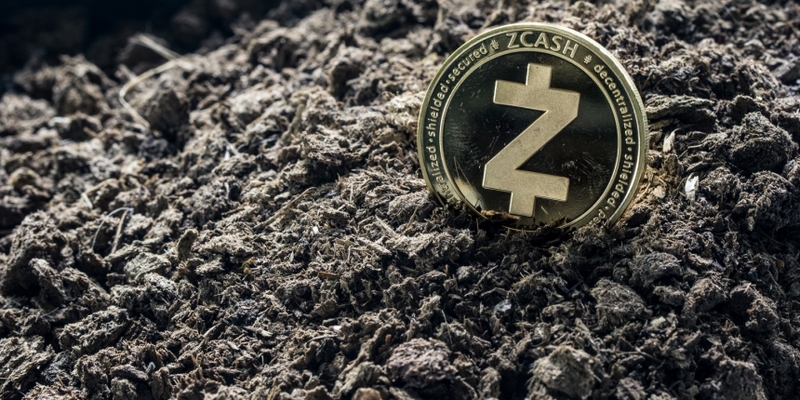 As the post explains, zcash offers both transparent and shielded transaction types, which show different amounts of information about a transaction. In particular, shielded addresses are anonymized, while transparent transactions are traceable, like bitcoin. Upon official word of the listing from Coinbase Pro, the price of zcash began a significant uptick at 18:00 UTC. 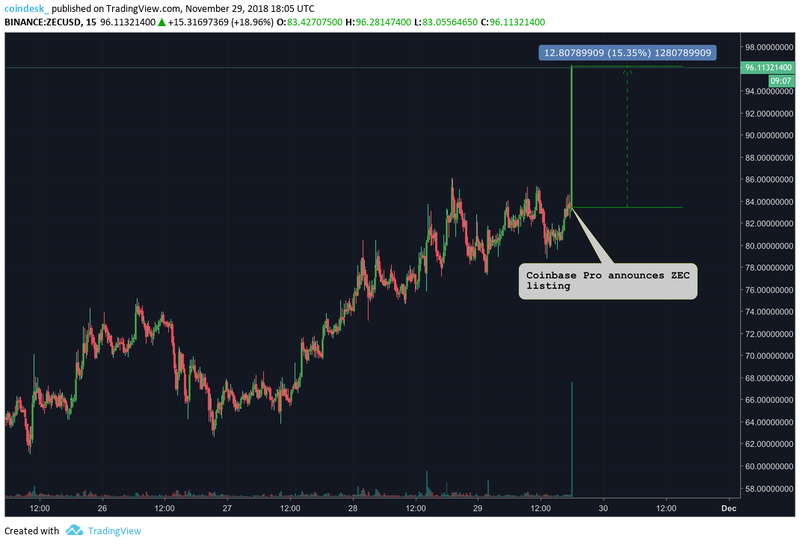 Just five minutes later the cryptocurrency had jumped 15 percent to reach a 9-day high of $99.13, according to data from the Binance exchange. At the time of writing, ZEC has cooled off and is now trading at $93. The coin has accumulated $155 million in 24-hour trading volume across exchanges, according to data from CoinMarketCap. Rachel Rose O’Leary and Sam Ouimet contributed reporting.